This course meets the Florida 1-hour specialty requirement in clinical chemistry. For ASCP, this course provides 12 hours in clinical chemistry. 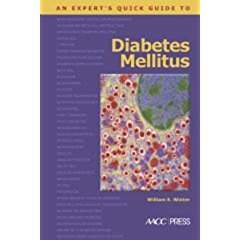 An Expert's Quick Guide to Diabetes Mellitus includes the basics of what laboratorians need to know about the pathophysiology, etiology, epidemiology, diagnosis, clinical management, and laboratory evaluation of diabetes. It explores the inter-related metabolic factors that characterize the disease, as well as describing the many sub-types of the disease within type 2 diabetes mellitus. This text is well written and logically arranged; it would be a valuable addition to any technologist’s personal library. Specific subjects covered include: Pathophysiology; Etiology; Epidemiology; Diagnosis; Measuring Glucose; Diabetic Crises; Complications; Clinical Management; Laboratory Evaluation.